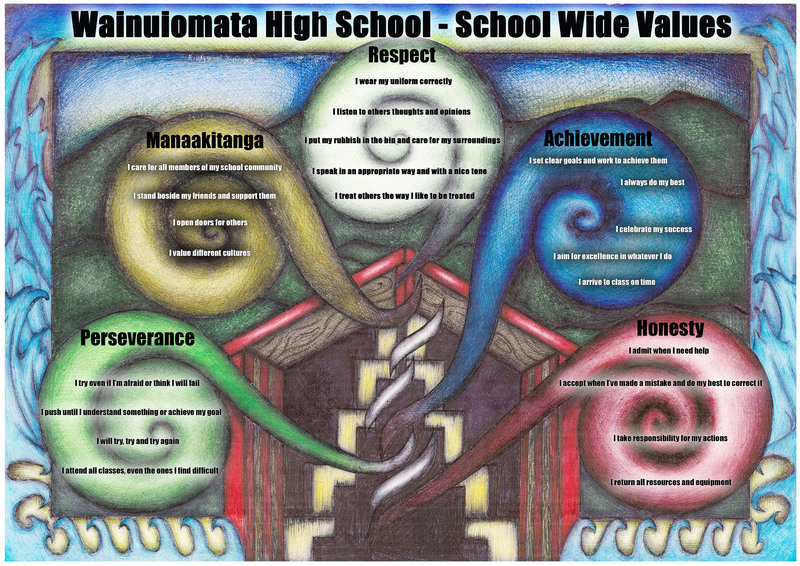 At Wainuiomata High School we have five values that we expect our staff, students and whanau to live: Manaakitanga, Honesty, Respect, Achievement and Perseverance. 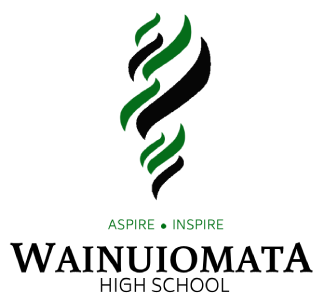 I care for all members of my school community. I stand beside my friends and support them. I open doors for others. I admit when I need help. I admit when I've made a mistake and do my best to correct it. I return all resources and equipment. I wear my uniform correctly. I listen to others' thoughts and opinions. I put my rubbish in the bin and care for my surroundings. I speak in an appropriate way and with an nice tone. I set clear tasks and work to achieve them. I aim for excellence in whatever I do. I arrive to class on time. I try even if I'm afraid or think I will fail. I push until I understand something or achieve my goal. I will try, try and try again. I attend all classes, even the ones I find difficult.